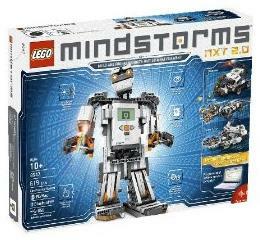 The projects on this page are designed for the LEGO MINDSTORMS NXT 2.0 (8547) kit and software. No extra parts are required. These projects cannot be used with the NXT 1.X kits (see instead the Projects for NXT 1.0). Users of the NXT 2.0 kit may also be able to build some of the Projects for NXT 1.X, click here for more information. Looking for more NXT 2.0 projects? A kit available here is designed to give NXT 2.0 users the extra parts needed to build NXT 1.0 Projects.